One of the highlights from last night's Oscars was no doubt 5 time Oscar nominee Leonardo DiCaprio finally receiving his well deserved statue as Best Actor for his role in Revenant. But there were many other gems during the night that should not be overlooked. 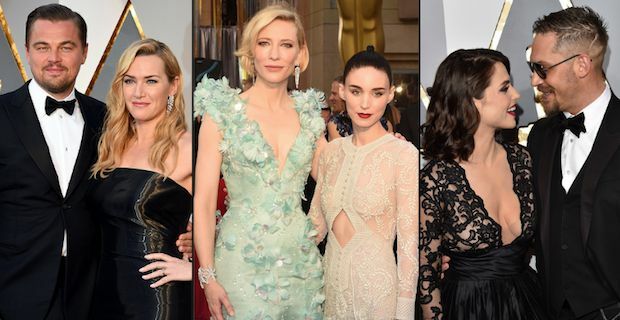 As always, the red carpet was full of outstanding dresses. Kate Upton had one of the most revealing outfits that had a plunging neckline along with Jennifer Lawrence who showed off her toned body. Some of the more questionable outfits were worn by supermodel Heidi Klum in her purple mess of a chiffon dress as well as Amy Poehler’s and Cate Blanchett’s unfortunate outfits. The guys also made some statements on the carpet. Pharrell Williams decided to go sockles and show off some ankles while young canadian actor Jacob Tremblay from the film Room adorably soaked in the cameras in his cute little suit. One of the most awkward moments of the night consisted of Stacey Dash coming out on stage to a silent audience giggling and saying “I cannot wait to help my people out. Happy Black History Month, thank you” and then leaving to a silent and confused audience. But the host Chris Rock made up for it throughout the Award ceremony. He handled the #OscarSoWhite controversy beautifully in his monologue that consisted of humour, honesty, and was all around inclusive.